Costa Rica has been awarded fDi’s Caribbean and Central American Country of the Future 2011/12. The Dominican Republic claimed second position followed by Trinidad and Tobago in third. Jacqueline Walls reports on the winners. Costa Rica has climbed from second position to be ranked as the most attractive country in the Caribbean and Central America for foreign direct investment. Costa Rica’s dominance in this year’s ranking is no surprise given its successful record in attracting FDI into the country. According to fDi Markets, Costa Rica has been the number one destination country in the region in terms of FDI project numbers since 2003. Costa Rica attracted a total of 227 FDI projects between 2003 and 2010 compared with only 178 FDI projects investing in Panama, Costa Rica’s closest competitor in the region. However, the latest figures released by fDi Markets have shown that from January to May 2011, Panama has, so far, attracted more FDI projects than Costa Rica. The Dominican Republic was ranked second overall in the biennial ranking of countries across the region. fDi ’s independent judging panel perceived the Dominican Republic to have the Best FDI Strategy. 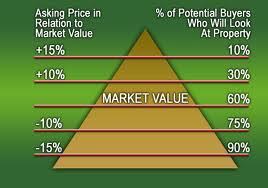 You will lose a percentage of buyers who are outside of your price point. These are buyers who are looking in the price range that the property will eventually sell for, but don’t see your property because the price is above their pre-set budget. Most buyers look at 10-15 properties before making a buying decision. Because of this, setting a competitive price relative to the competition is an essential component to a successful marketing strategy. Many marketing tools especially in the internet include searches by price categories, if your property is overpriced it will not even be seen by potential buyers. won’t bother looking at it, therefore no offers will come in to start a negotiation. clients. If your property is branded as “overpriced”, reigniting interest may take drastic measures on your property. An agent marketing overpriced properties will gain questionable reputations among their peers and might affect the entire agency. watching your neighbors put up a sold sign. The longer your home sits on the market, the more likely it is to become stigmatized or stale. Have you ever seen a property that seems to be perpetually for sale? Do you ever wonder – What’s wrong with it? Buyers who do view your property may negotiate harder because it has been on the market for a longer period of time and because it is overpriced compared to the competition. Even if you do find a buyer willing to pay an inflated price, in case the buyer uses some kind of financing to pay for their property and your property won’t appraise for the purchase price, the sale will likely fail. 8. The agent with the highest price recomendation will get the listing. You spoke to several realtors before you hired the one who recommended the highest price for your home. Good agents seldom want to take a property that is overpriced, simply for the fact that the chances of selling it are slim, and that means their chances of making a commission are greatly reduced. Real Estate agents are (or should be) intimately familiar with most real estate activities in their market, and they should have the best idea of how a home should be priced. 9. You still haven’t received an offer. Don’t panic just yet. (it’s not uncommon for high high-end homes or secondary homes like vacation properties for example, to stay on the market for years) If there is very limited interest in the property, it’s not too late to reduce the price, but it’s important to act quick in order to sustain some interest. Content collected at Trulia.com, Forbes and similar sources and then adjusted to fit the Costa Rica Real Estate market. Bidding of Veintisiete-Villarreal Road Speeds Up! 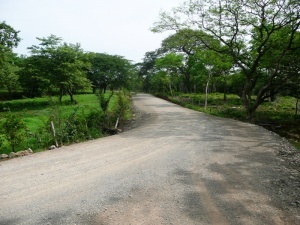 Road will cost about $10 million and will be ready in 2012.• MOPT announces investments in Guanacaste for about $200 million. After years of promises and struggles, Tamarindo and surrounding coastal communities will finally have the long-awaited road from Veintisiete de Abril to Villarreal in 2012. The publication of the bidding in the Official Gazette on Friday, July 22 opens the process of procurement of works and confirms the news expected by all the communities that have long called on governments for the construction of this road. This route is vital for the development of tourism in the area, since it greatly shortens the travel distances and connects Tamarindo and other adjacent coastal areas to the main towns of the Canton. According to the Ministry of Public Works and Transport, the receipt of bids is scheduled for August 18 this year. The project has been estimated at about $10 million (¢5.095 million) and includes a two-lane road, sidewalks, demarcation, and a 9cm rolled pavement plus a 20cm stabilized base. In addition, 5 existing bridges will be replaced: Sin Nombre, Molina, Marcos Hernandez Bridge and the bridge over Rio San Francisco. The Minister of Public Works, Francisco Jimenez, said that since the plans were donated by a group of businessmen in the area and after the publication of the bidding, the works are estimated to start by early 2012, at the latest. This work will complement the project between 27 de abril and Paraíso, a 13.9 km road that in 2009 required an investment of nearly $10 million (about ¢4.971 million). Beginning in January, Delta Airlines will add a new nonstop flight from Minneapolis-St. Paul International Airport to Liberia, capital of the northwestern province of Guanacaste. 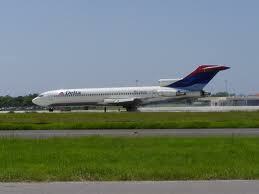 The new route will run once a week, every Saturday, using 160-seat Boeing 737-800. The Atlanta-based airline is one of the dominant carriers for the twin cities of Minneapolis and Saint Paul, Minnesota.